These slow-growing erect fan palms are crowned with dark, glossy green leaves plaited like a fan. This species is salt, frost and wind tolerant. Aussie fans look gorgeous with a “classic cut” trunk as shown in the picture but natural trunks are also available. Livistona australis is native to Australia and is widely spread along the New South Wales coast extending north into Queensland. This species is exceptionally well suited for use in the Houston are and will do well as far north and west as Austin and San Antonio. 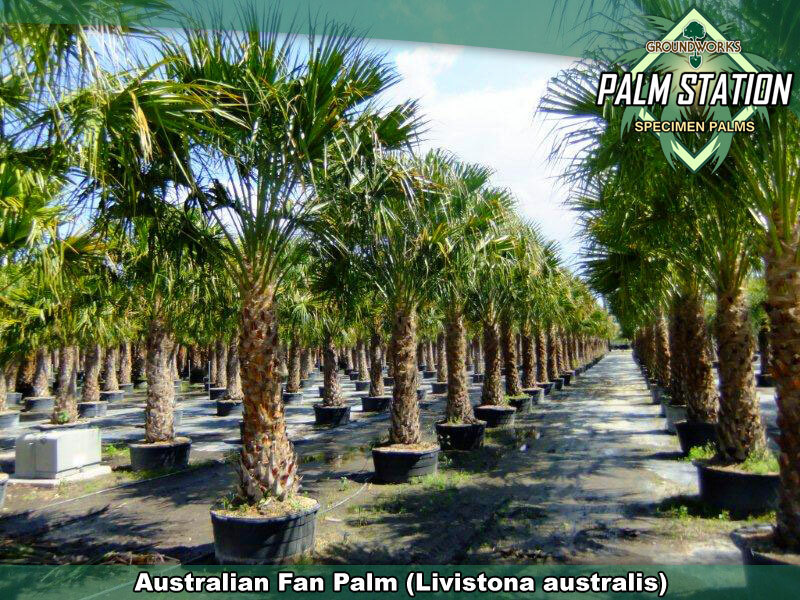 The Australian Fan Palm grows best in moist, organically-rich soils and thrives in both sheltered and well-lit situations. It is also salt, frost and wind tolerant. 8b-11 Australian Fans will survive winter freezes down to the high teens provided the freeze durations are fairly short. Freeze damage to the fronds will grow out during a single season. This species will display little or no freeze damage in 26 degree freeze events provided the durations are not prolonged. Direct sun is best but this species does well in partial shade as well. Australian Fans do very well in semi wet conditions as well as in drier scenarios. The rule is that the upper 18” of top soil must be able to cycle wet to dry on a regular basis. Wide soil range, very adaptable. Groundworks Texas! 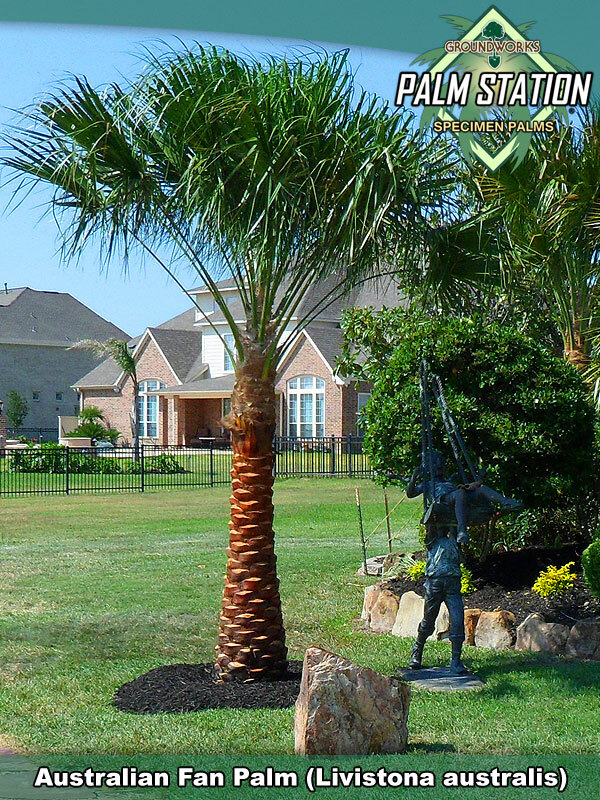 and Groundworks Palm Station - Houston have excellent availability of specimen Australian Fan Palms from 6’ to 12’ of Clear Trunk.